This beautiful oblique wood holder has several inlaid bands, with a graceful tapered design. It comes in horn or amber color, with the colors and swirls varying within each holder. 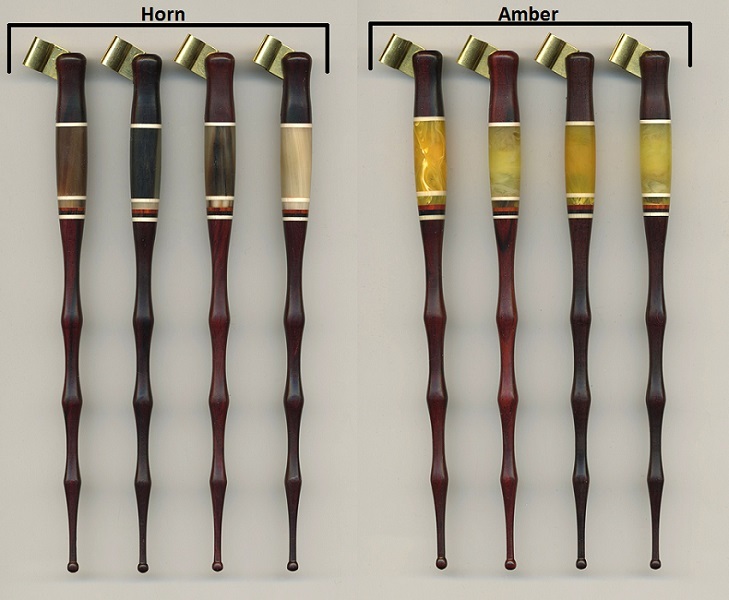 The horn ranges from black to tan to white, and the amber ranges from deep yellow to medium to light yellow. $49.95 SALE $39.95 (sale price as of writing, subject to change). CLICK HERE TO PURCHASE! Please be sure to also check out our latest calligraphy supplies catalog in PDF format! The Speedball Textbook 24th Edition Now Available!